I was able to get out at lunch time today for a run so decided to make it a tempo run. 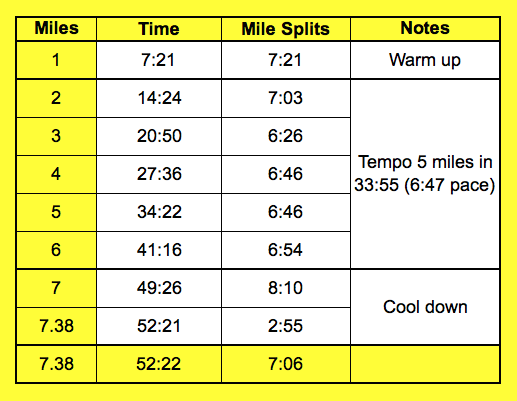 I ran the first mile steady then pushed pretty hard for 5 miles then just over a mile cool down completed the session. So I was happy with that. Katrina and I have entered the Inverness Half Marathon on Sunday 8th March 2015 so I’ll be doing lots more tempo runs between now and then. This entry was posted in tempo run. Bookmark the permalink.